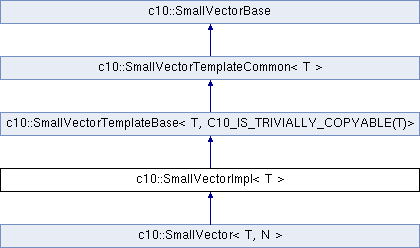 This class consists of common code factored out of the SmallVector class to reduce code duplication based on the SmallVector 'N' template parameter. Definition at line 382 of file SmallVector.h. Set the array size to N, which the current array must have enough capacity for. This does not construct or destroy any elements in the vector. Clients can use this in conjunction with capacity() to write past the end of the buffer when they know that more elements are available, and only update the size later. This avoids the cost of value initializing elements which will only be overwritten. Definition at line 757 of file SmallVector.h.